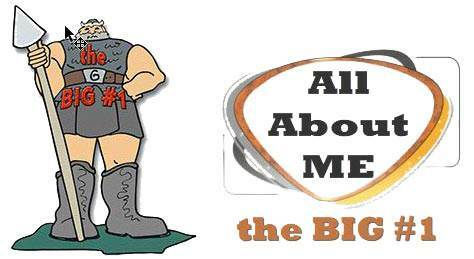 What Breaks Fellowship | Lesson 14 Questions in series "All About Me"
1. 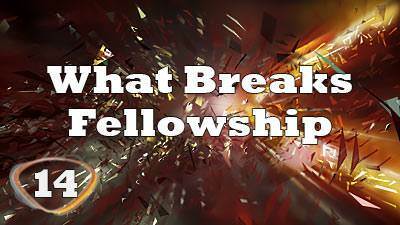 Can we break fellowship with our actions? 2. It is so easy to see things in ourselves that are not right but most difficult to see anything wrong with others. 3. The Holy Spirit can show us each time we wrong someone else. 4. Does it matter if our actions foster a right or wrong spirit in others? 5. If people are in rivalry with each other does that break down fellowship? 6. Are you in rivalry with others? 7. Being suspicious of each other can help build fellowship. 8. Judging people's motives and attitudes before you have any proof will lead to many problems. 9. We need to be discerning but not suspicious.